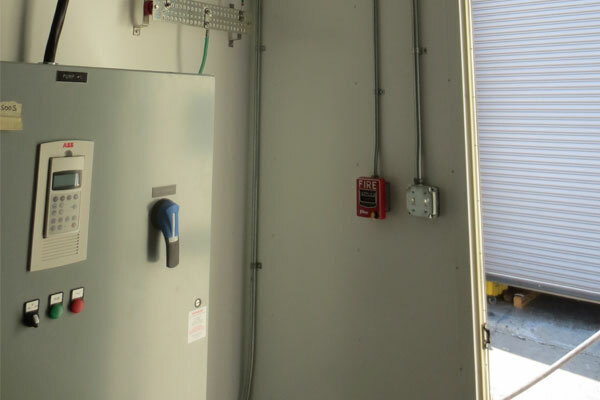 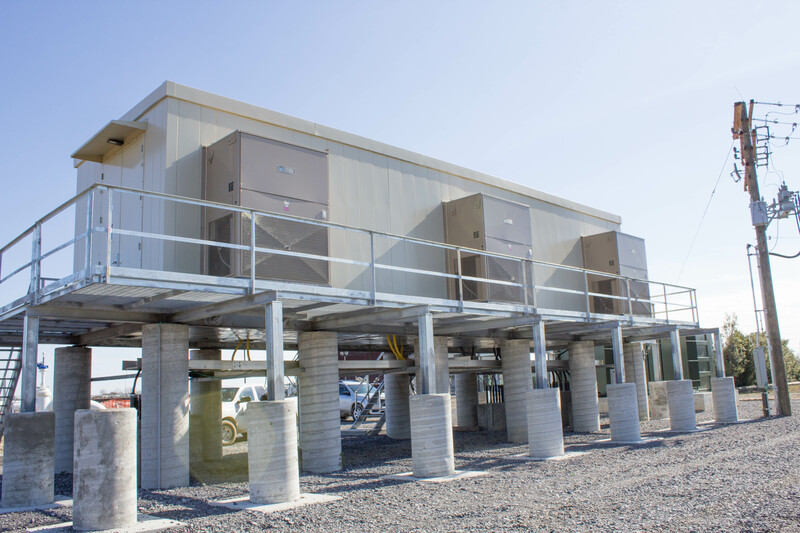 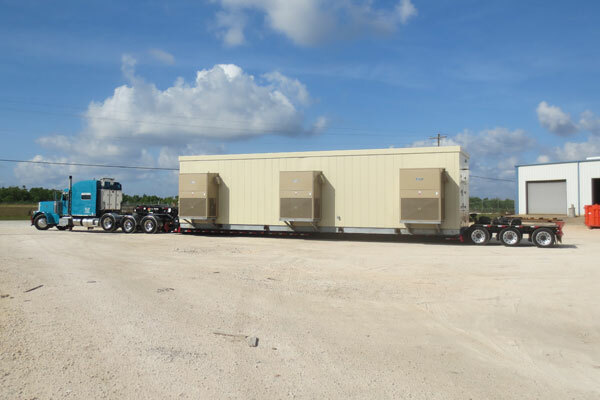 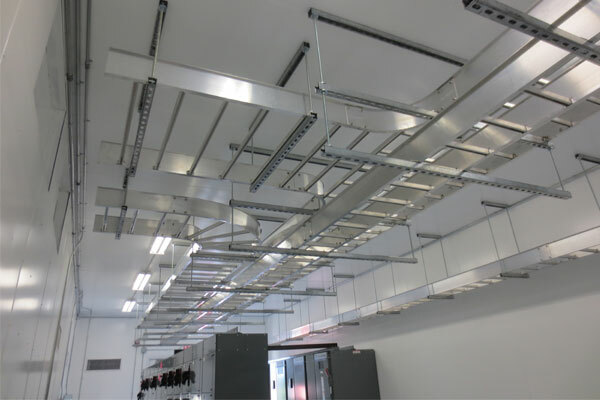 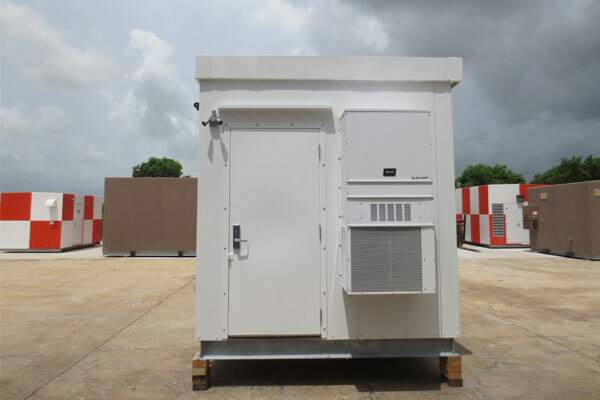 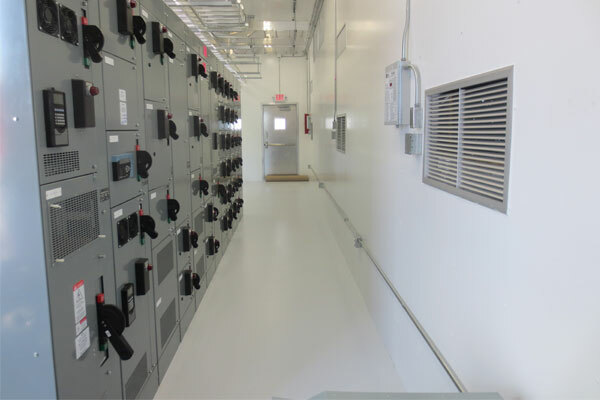 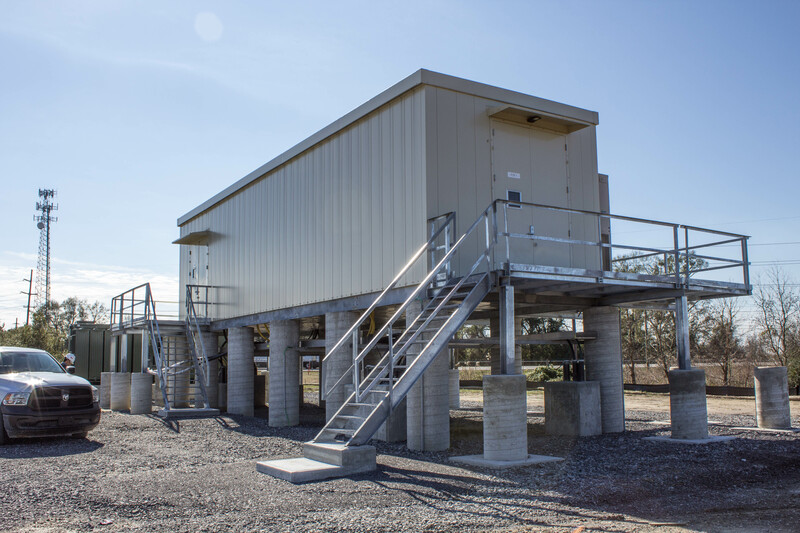 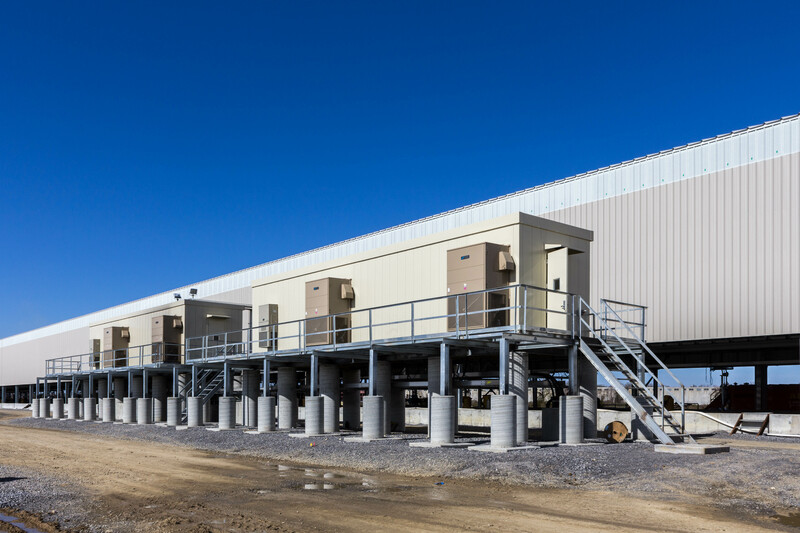 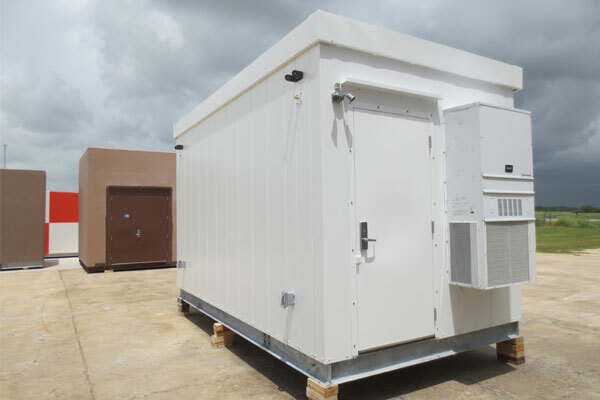 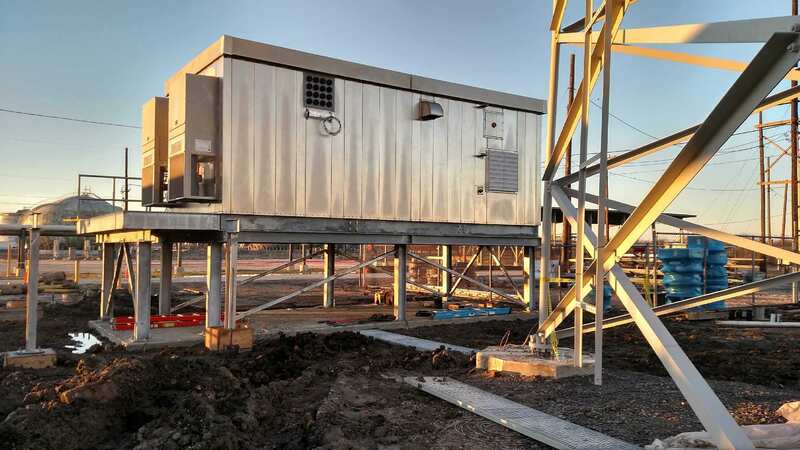 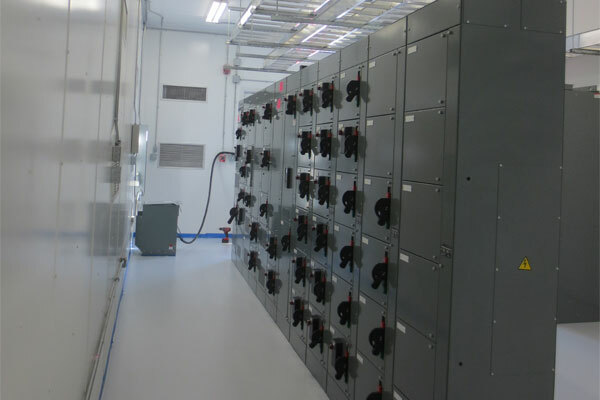 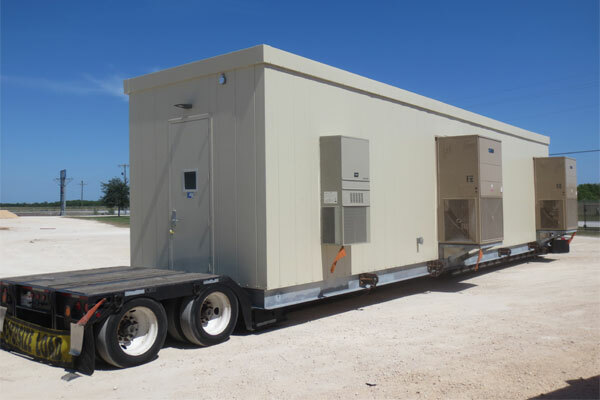 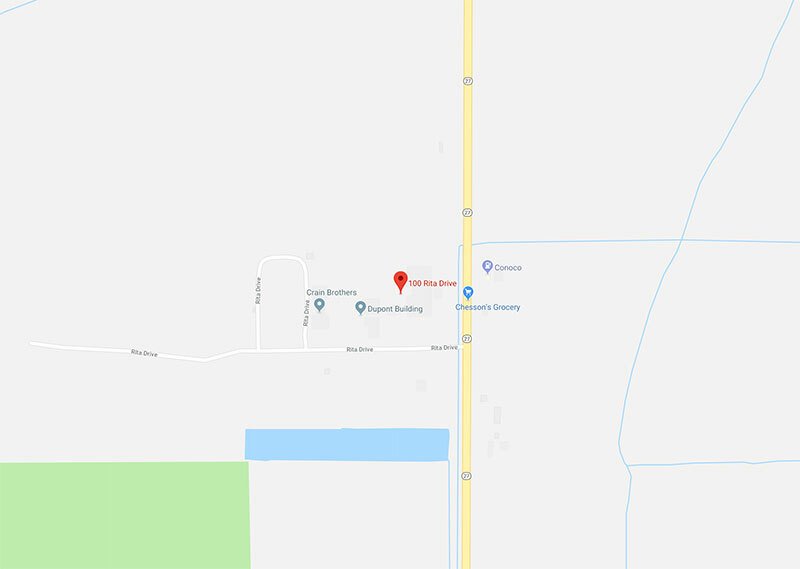 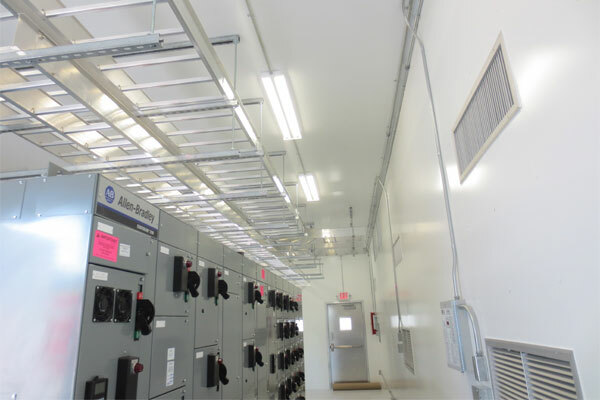 Power Distribution Centers – Dupont Building, Inc.
Dupont Building, Inc. offers a wide variety of custom shelters for all needs from MCC, Switchgear, VFD, Backup EG, Scada, PLC, Power and Control buildings. 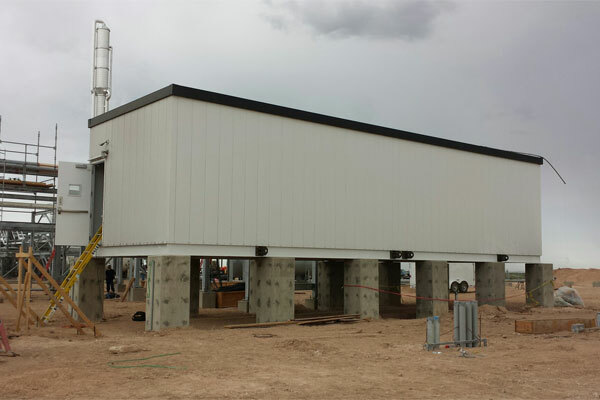 Our construction methods vary a great deal as well. 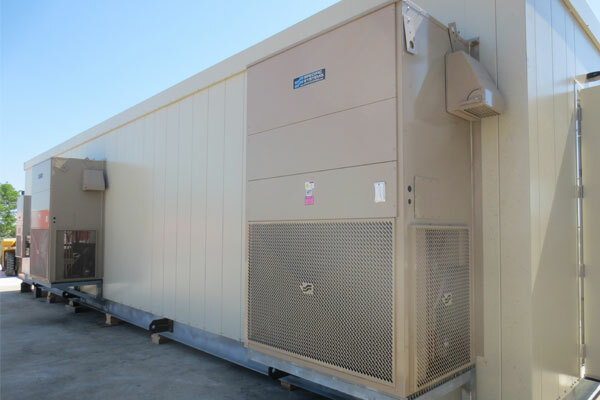 We can meet all the 155mph wind load criteria, San Francisco Seismic, and floor loadings as high as 1,000 psf. 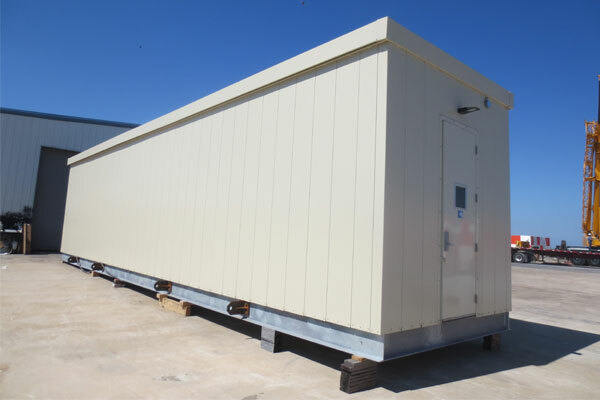 Due to our varying construction methods we can achieve a great deal of diversity for special needs, some construction types include, wood frame seamless fiberglass, steel framed concrete composite seamless fiberglass, as well as steel interlocking panel shelters. 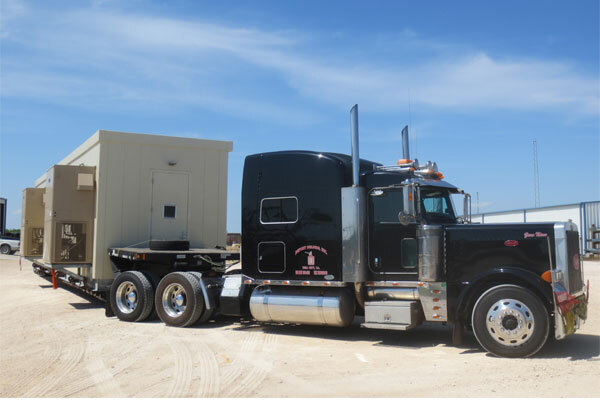 The doors that we use are USCG approved. 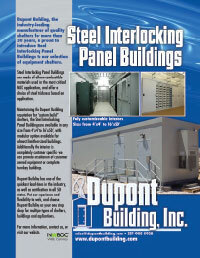 We can build for general purpose as well as build to meet area classifications (Class I Div I, Class I Div II, etc.). 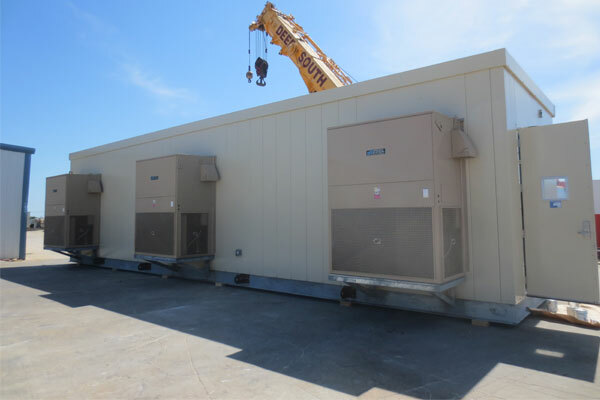 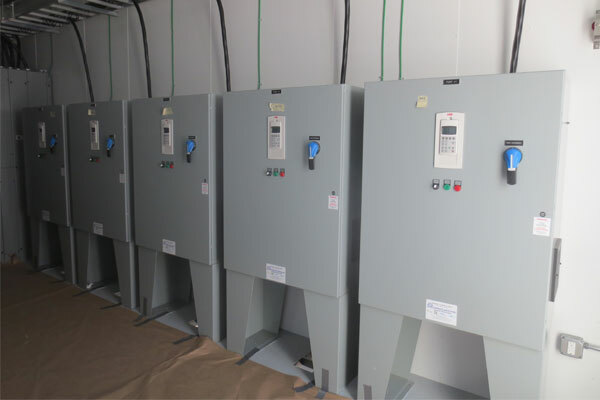 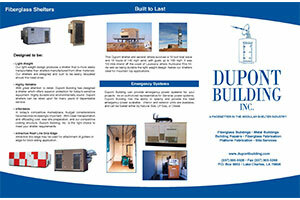 We can provide HVAC systems ranging from 1-ton-30 ton pressurized or non-pressurized systems. 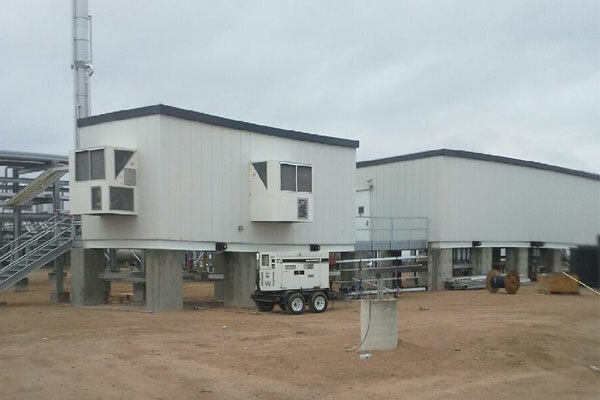 We provide platforms, stairs, and landings for buildings. 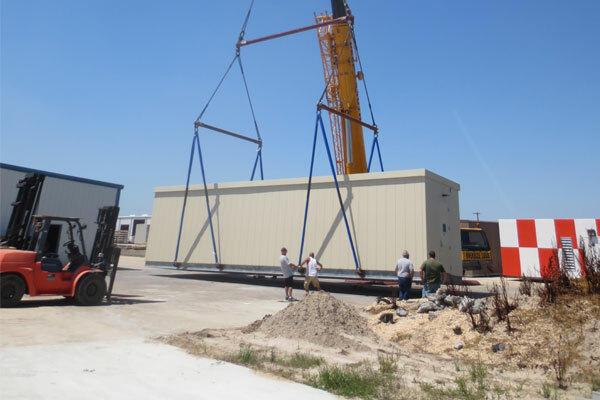 We enjoy a challenge and make every effort to execute all projects with perfection and have some of the most competitive lead times and estimates in the industry.